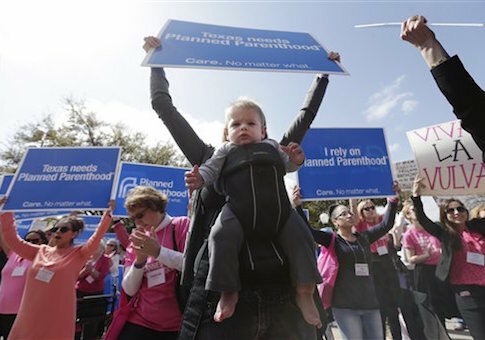 Judges in Alabama and Louisiana block the states from ending funding to Planned Parenthood. Governors Robert Bentley of Alabama and Bobby Jindal of Louisiana each cited recent hidden camera footage shot by anti-abortion activists in their decision to strip funding. After a failed attempt to block Planned Parenthood funding, several states have made efforts to cut off Medicaid funding for Planned Parenthood. Texas, Arkansas, Utah, Alabama and Louisiana have all made such cuts in Medicaid funding. Planned Parenthood officials have chastised the decision, citing thousands of women seeking non-abortion services through Medicaid at the non-profit's clinics. (4) The Executive Vice-President of Planned Parenthood has said about the action in Texas, "it is completely outrageous that Texas officials are using these thoroughly discredited, fraudulent videos to cut women off from preventive health care, including cancer screenings, HIV testing and birth control." (2 )The issue of abortion has come back as a topic of national debate in response to recent hidden camera videos filmed by an anti-abortion group. Republicans and anti-abortion groups have since renewed their calls and efforts to stop the funding of the non-profit. These recent battles over women's health, and abortion rights are likely to become a divisive issue in the upcoming presidential election. The party that has control of the White House in 2017 will be hugely influential in the future of reproductive rights. Republican efforts have been thwarted in recent months thanks to the threat of presidential veto and the judiciary; each of these could be subject to change if a Republican takes the presidential oath in 2017. It remains unclear if the political attempts at defunding the nonprofit are credible threats to legal abortion rights. The social and political atmosphere along with political rhetoric from the Republican party has made brought the issue once more to the national stage but the pushback from the left points to ever increasing polarization toward 2016.